Former secretary of state Clinton also leads the field in a separate poll question that includes alternative-party candidates. Democratic presidential contender Hillary Clinton leads rival Donald Trump by seven percentage points, according to a Reuters/Ipsos national opinion poll taken as the Republican nominee fought off accusations of groping women. The Oct. 7-13 poll released on Friday shows that 44 per cent of likely voters support Clinton while 37 per cent back Trump. That was little changed from Tuesday when the Reuters/Ipsos poll showed Trump trailing by eight points. Two more women came forward on Friday with allegations that Trump had groped them, including a contestant on his reality show, “The Apprentice,” as the businessman said accusations of sexual misconduct against him were part of a plot to discredit him only weeks from the election. Trump’s campaign for the Nov. 8 election has been scrambling to recover from the release a week ago of a 2005 video in which he bragged about groping women and making unwanted sexual advances. Support for Clinton has been mostly rising in the seven-day tracking poll since the last week of August, when the candidates were drawing about the same level of support. 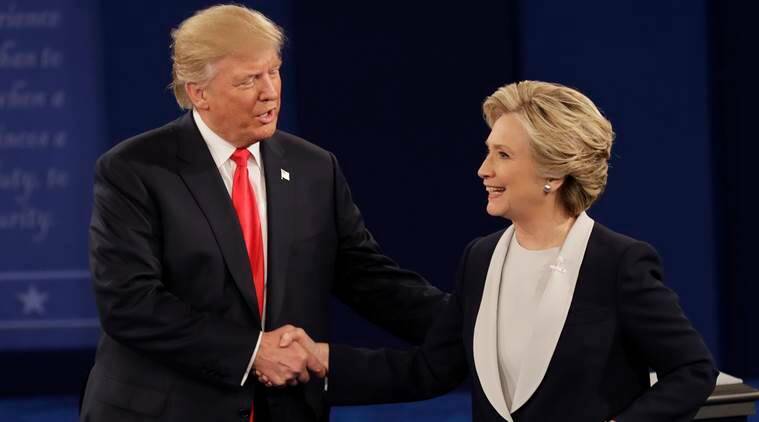 Since then, Clinton and Trump have faced each other in two heavily watched debates — contests that Americans believe Clinton won, according to the Reuters/Ipsos poll. Former secretary of state Clinton also leads the field in a separate poll question that includes alternative-party candidates. Among likely voters, 44 percent back Clinton, 37 per cent support Trump, six percent favor Libertarian candidate Gary Johnson and two percent support Jill Stein of the Green Party. The Reuters/Ipsos poll is conducted online in English in all 50 states. The most recent survey includes 2,889 people who are considered likely voters given their registration status, voting history and stated intention to vote. It has a credibility interval, a measure of accuracy, of two percentage points. National opinion polls have measured support for the candidates in different ways this year, yet most agree that Clinton is leading and that her advantage has strengthened as the election approaches. RealClearPolitics web site, which tracks most major opinion polls, shows Clinton ahead of Trump by an average of seven percentage points.